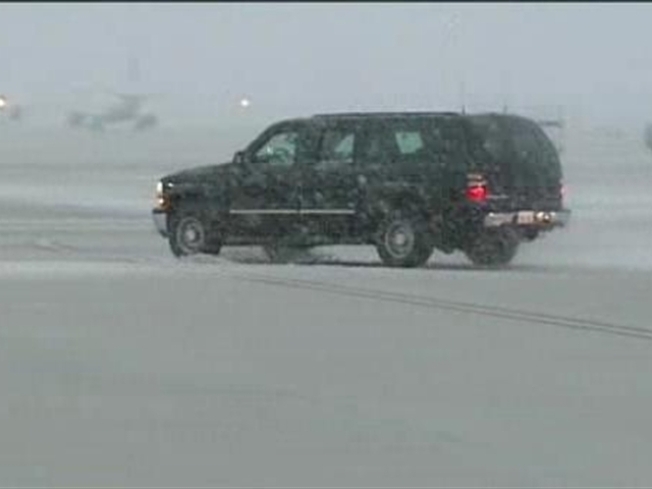 Heavy snow and icy roads created hazardous conditions for President Barack Obama as he returned to the White House after a trip to Wisconsin. The wintry weather Wednesday night grounded Marine One, the helicopter that typically transports Obama to and from the military base where Air Force One lands. Instead, Obama was met at the plane by his motorcade, which spent an hour weaving through rush hour traffic already slowed by the storm. The trip normally takes the motorcade about 20 minutes. Law enforcement officers often close off roads where the president may be traveling, but the roads were not cleared for his motorcade Wednesday. Doubtful D.C.'s achieved that "flinty Chicago toughness" in the president's eyes, yet. 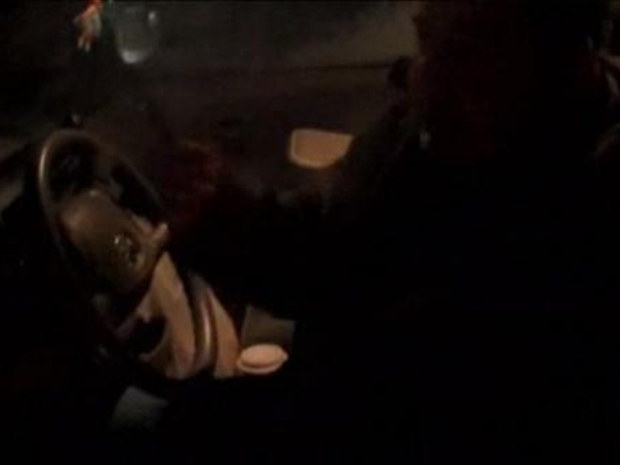 A driver tries to avoid a crash on Chain Bridge Road and ends up stuck in the snow. White House spokesman Robert Gibbs said Secret Service did not want to divert resources handling the storm in other parts of the Washington area.